After a staged journey via Leeds and two nights in Edinburgh (and along the way buying and replacing the tandem’s chainset,) we departed first thing in the morning for Oban. As per usual, we transported then tandem by car on the roof rack, as it’s virtually impossible to carry a tandem bicycle by train. The journey was pretty easy, with no delays and rather pleasant and sunny weather (but a little cooler than over the last few days). We arrived in Oban about 3.5h before the ferry was due to depart – even after leaving the car in the tender care of Hazelbank Motors, buying tickets (Island Hopscotch ticket 15 and 21), and having coffee we ended up hanging around. Despite the brilliant sunshine, the temperature was falling by the time we queued up with a surprising number of cyclists to board the ferry – many of whom we saw later in our travels. On this occasion, cyclists were boarded first. The ferry departed on schedule, and after a voyage of 4h50 that took us along the Sound of Mull (Tobermory could be clearly seen in the afternoon sunshine) and beyond. 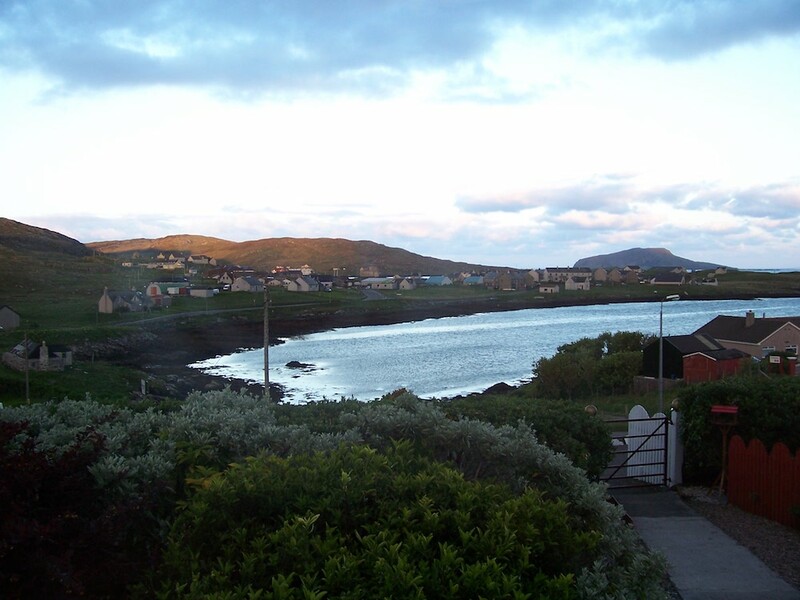 We arrived in Castlebay on schedule at about 8.40pm. We were a bit surprised by how cold it was as we rolled off to find our B&B. I had spent quite some time the week before our cycle tour trying to find a B&B – most which were listed on the internet were full for at least one of the nights we needed. I finally found one with a room available – the Ravenscroft Guest House. We had an excellent stay there.